The idea to make these cupcakes was quite a spontaneous one, I knew I just had to incorporate my Italian goodies into a baked treat pretty damn soon, and what better day for baking to fall on but a rainy, miserable English Sunday? 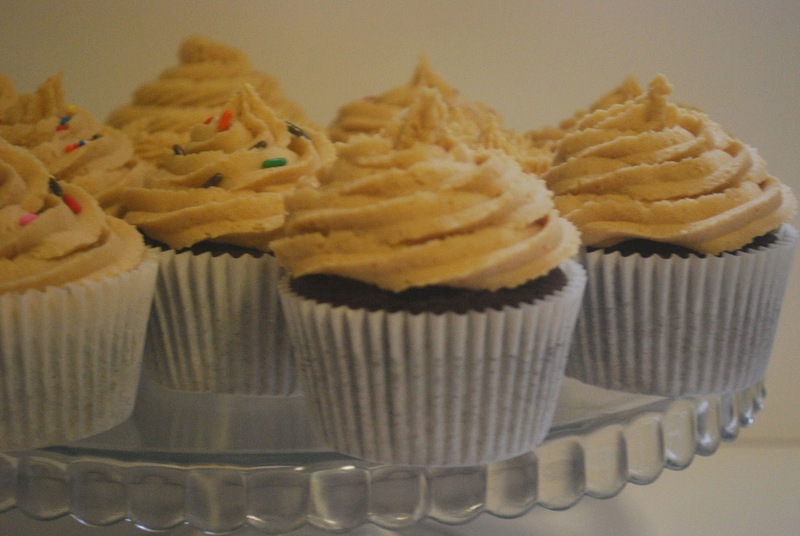 Provided that it was a successful bake, these cupcakes were destined to taste great. Simply because it is a universally known fact that chocolate and peanut butter are a match made in heaven, please eat a Reese's peanut butter cup before you objectify! 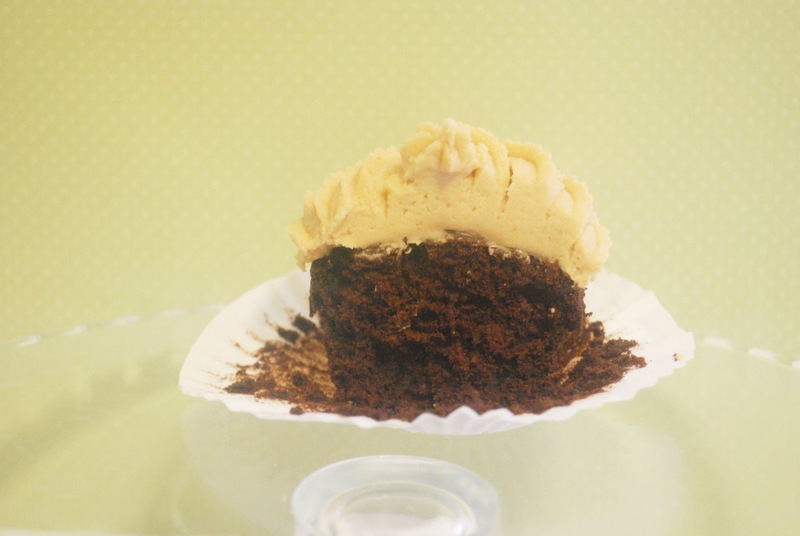 I adapted Nigella Lawson's Devil's Food Cake recipe for the sponge, and whipped up my very own peanut buttercream for the topping, please be warned that it is VERY heavy on the palette. Preheat the oven to 180 degrees and line 1 muffin tray. 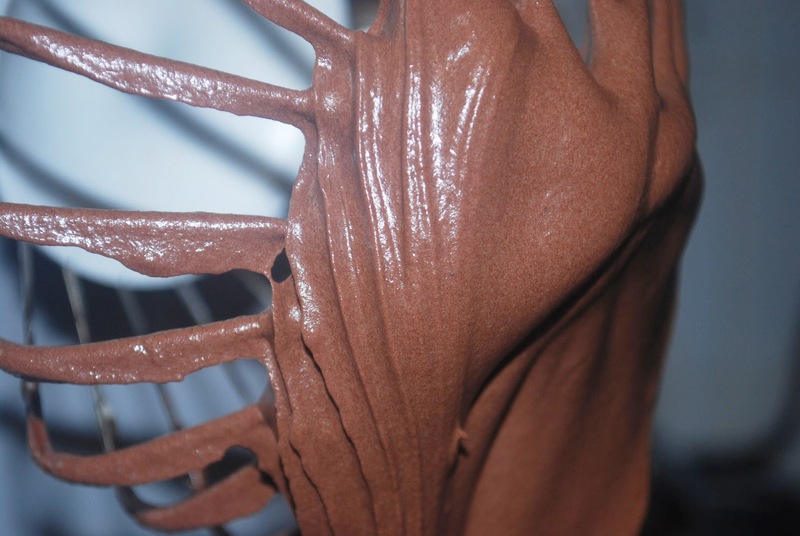 In a medium sized bowl, whisk together the cocoa powder, muscovado, liquor and boiling water and set aside. In a freestanding mixer, begin to whisk the margarine and sugar until light, and slowly add in each egg. Whilst the ingredients are mixing, pour in the vanilla extract. Now reduce the speed and throw in flour, baking powder and bicarb and mix lightly to incorporate air. Lastly pour in the chocolate mixture and beat sparingly till the mixture is consistently dark in colour. Fill your cupcake liners with chocolatey goodness and bake for 18 minutes. For the frosting - whisk the butter and vanilla till smooth and add the icing bit by bit till thick. Now slowly add the tub of peanut butter tbsp at a time, and continue to add until you get your desired flavour. Once the cupcakes have cooled, ice them as you like! One last thing, I am very honoured to say that my Jubilee Celebration Cake was given a special mention in the Jubilee Baking Competition run by Homemade By Fleur! How exciting! What a lovely little treats you have made! They look just so perfect. Love them. That's so kind of you, are you a fan of peanut butter? Thank you for following my blog! You have the most delicious blog.........I am drooling over the buttercream and cakes in your previous posts! No problem Minnie Kitchen! Totally feel inspired by your little creations, how on earth do you do it?! I'm glad you like them, but they're nowhere near as gorgeous as yours! 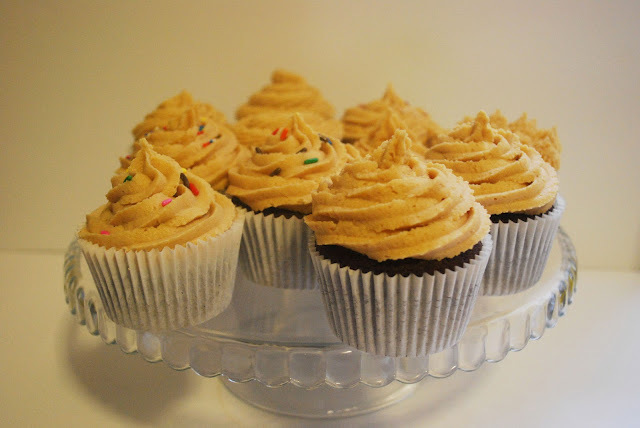 ummm YUM - peanut butter cream - thats one I've not made before! May have to try it this weekend! delish!